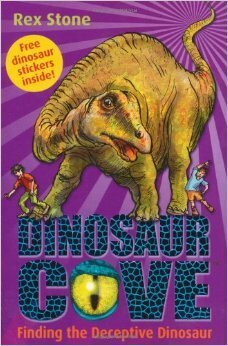 I’ve fallen in love with the covers of the Dinosaur Cove series. Aren’t they just too cute?There are 26 books in all. In addition to the great pictures on the covers, there are line drawings that are exuberant and full of detail on about 75% of the pages. Attack of the Tyrannosaurus (Dinosaur Cove, No. 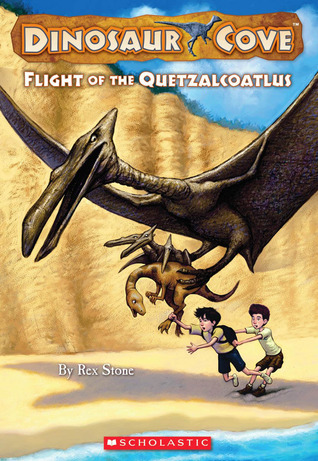 1) (by Rex Stone, 2008, 68 pages) and many others in the series are out of print, but used copies are readily available. Alas, the covers of the more recently written ones partly follow the trend of title-words-as-image and are not quite as cute. The story is engaging from the start. 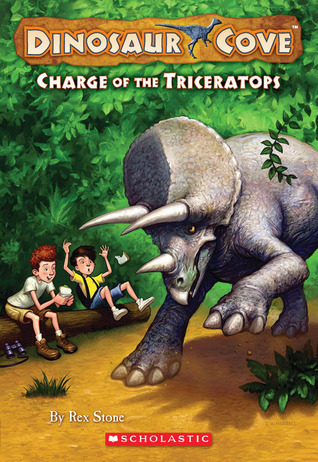 Two boys find a secret cave that has fossilized dinosaur footprints on the floor. When they step in the footprints, they are instantly transported to a world filled with dinosaurs, and realize the tracks are a portal. They notice the vegetation is different. The pair make friends with a baby dinosaur, have some close calls with big dinosaurs, then come home. That’s really it. It’s a skimpy story, but one I would think just right for kids transitioning to chapter books, and for younger reluctant readers. 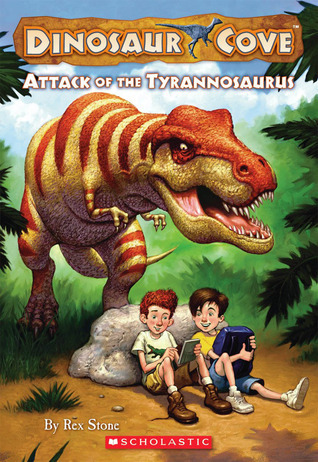 However, I’m afraid that most dinosaur-themed books seem too babyish after kids reach a certain age. I wish I had discovered this series earlier, because I think I missed the window for these books with my own son. 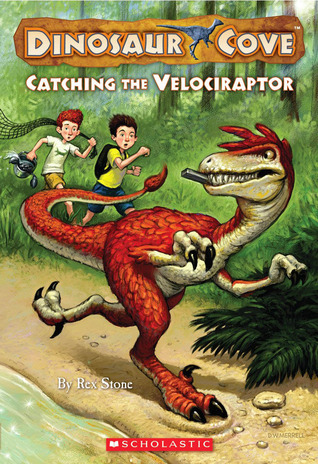 I was disappointed to learn Rex Stone isn’t a person, but is a pseudonym used by the creators of the series. Happily, illustrator Mike Spoor is a real guy. 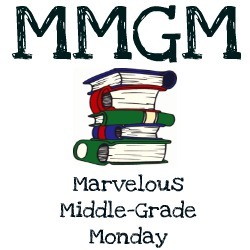 For a bunch of great middle grade book reviews, follow links on Shannon Messenger’s blog. 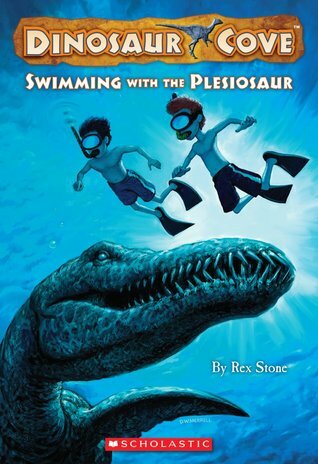 This entry was posted in Book reviews and tagged Dinosaur Cove, dinosaur time travel, kids' time travel stories, time travel books for children. Bookmark the permalink. Yes, they have an appealing “comic book” adventure feel that I think kids would really like! These look intriguing. I think my son might enjoy these. Thanks for sharing!